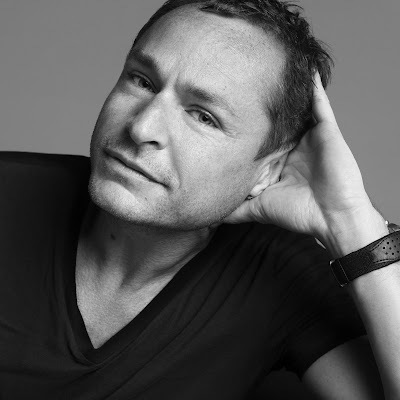 Tom Pecheux is the new Creative Makeup Director for Estee Lauder. Mr Pecheux has been responsible for some memorable runway looks over the years. He is a MA rock star and will add a level of hipness to the line. His midas touch will start appearing in product and ads in 2010. His first Lauder offering will be "high impact color products". I am looking forward to great color stories, improved pigment power and a general excitement over the brand. What would you like to see him do at Estee Lauder? It's exciting news, but right now I am mad at Lauder for discontinuing the Prescriptives line. That being said, Pecheux has a daunting task ahead of him. It will be hard for him to "hip" up the Lauder line without alienating their loyal customers. It's about time. I used to work for Lauder and even I did not like the pigmentation of the color line. Hopefully he will get it up to the level of Lauder's top-notch skincare line. Lauder has never gotten enough love IMHO, so hopefully this will help! I look forward to this....they need to get something other than medium toned rose or coral-based lippies in the line. Nice reference Annie. As luck would have it I have Talking Heads playing right now. Patti: It will be a daunting task. To make it more hip yet not alienate the core Lauder audience. The skincare is magnificent and the color stories need some more oomph. I think he has a very daunting task...but he has the goods to deliver. Tussah: I agree. Remind me to bring my sample of the Lancome Chriz Benz lippie the next time we meet. It is the most unique coral ever created. Off the wall and off the charts! You know I love when people get my music references!!!!!!!!!! !